The Edo State Government has said 30 youths in the state will be recruited as members of the state’s cultural troupe to inject new life and expand experiences and offerings of the troupe. Commissioner for Arts, Culture and Diaspora Affairs, Hon. Osaze Osemwengie-Ero, disclosed this at a 2-day seminar on capacity building for staff of the ministry, in Benin City, Edo State. Osemwengie-Ero, who represented Governor Godwin Obaseki, said the 30 youths will be recruited by government through the Ministry of Arts, Culture and Diaspora Affairs. “The recruitment will be channeled through the Edojobs portal. An audition will be organised for 100 to 200 youths, from which 30 persons will be recruited for the state’s cultural troupe. Those qualified will be engaged,” he said. Noting that the seminar was organised to boost productivity through capacity development, he said, “This seminar was organised in line with the vision of the governor on human capacity development. I task officials of the ministry to contribute to growing the state’s economy by promoting initiatives that will help diversify the state’s earnings. Permanent Secretary, Ministry of Arts, Culture and Diaspora Affairs, Sam Aigbirio, said the seminar was an in-house workshop organised for officials of the ministry to broaden their knowledge in the areas of statistics, budgeting, planning, monitoring and evaluation, as they relate to promoting culture and tourism. 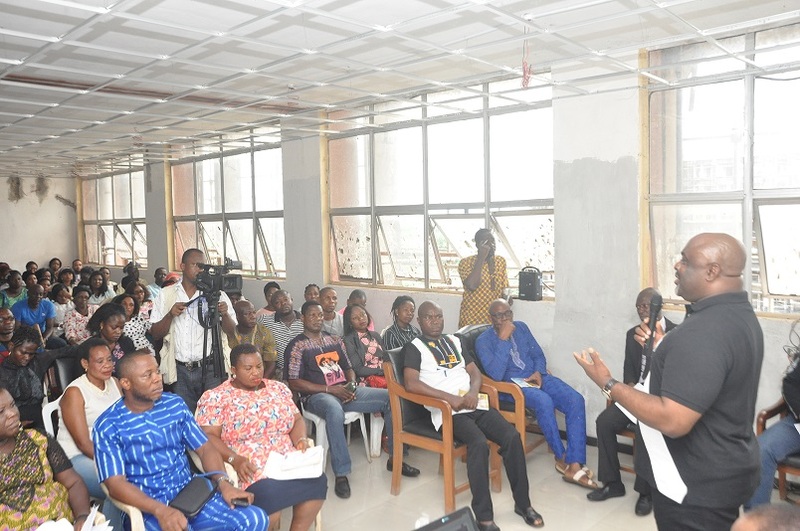 Aigbirio noted that capacity training for officials of the ministry would be continuous and will help develop their capacity in line with the state government’s vision to drive economic growth and wealth creation through culture and tourism. Commissioner for Arts, Culture and Diaspora Affairs and representative of Governor Godwin Obaseki, Hon. Osaze Osemwengie-Ero (right), addressing staff of the ministry during the 2-day capacity building seminar, in Benin City, Edo State.